Vacation Tours USA, Inc. settled a lawsuit on Tuesday filed by New York Attorney General Eric Schneiderman alleging the company ran a misleading advertising scheme that promised consumers a free vacation. The Florida-based company is owned by Tony Armand and Henry Armand. They allegedly sent letters to New York residents informing them they had won a free vacation valued at $1,398, which included lodging and airfare. The Armands allegedly used the names of several prominent airlines in the letters, including Southwest, Jet Blue and US Air. Consumers was instructed to call a number on the letter to claim the prize, but after calling they allegedly were told they had to attend a seminar to receive the vacation. Once at the seminar, the respondents had to sit through a lengthy sales presentation and ultimately never received the free vacations. 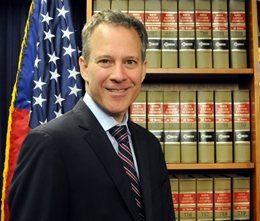 As part of the settlement, the company will pay $22,500 in civil fees, in addition to halting all deceptive business practices and reimbursing customers who filed complaints with Schneiderman's office.